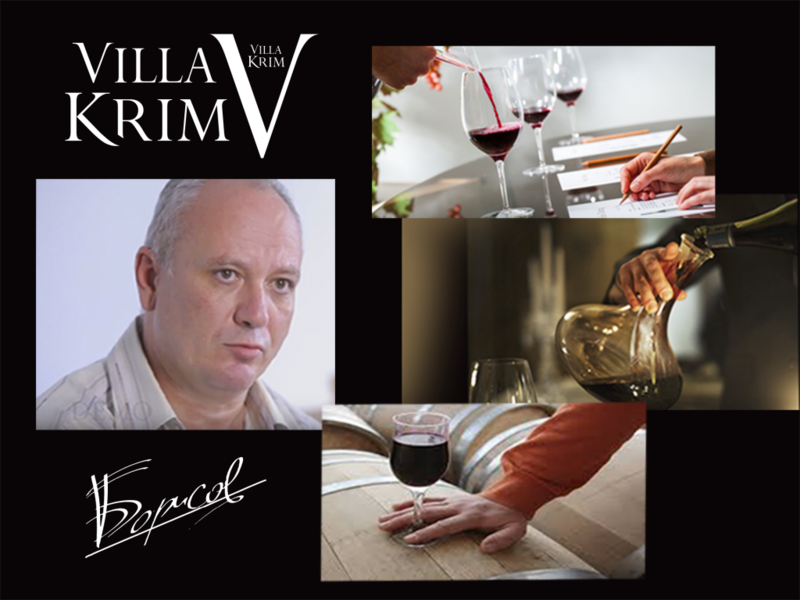 The Original Collection (Author Collection) of Villa Krim wines is a set of four unique blends that came from the professionalism of true craftsmen and a perfect combination of all the elements of winemaking. Uniqueness of each item in the product line is that they cannot be repeated under any other conditions. Every bottle of the collection has a reference number of the formulation, according to which the product was made. Control of production and new blends provide a special flavour. Boyan Borysov, a winemaker and the author of the collection, possessing experience of more than 30 years, has been working as the chief technologist of our company for 15 years. High professionalism and many years of experience result in a unique “Author” blend in practice. All the secrets of creating these masterpieces are only kept by him, so you can always be sure that the author himself worked on every drop of these drinks having incredible taste and aroma. “Creating this Original (Author’s) Collection, we do not use standard blends. Thus, we combine the features of different parts of the terroir, making the flavour of the wine unique,” explains Boyan Borysov, a leading technology engineer of the company. The author’s collection features four special items with unique blends: daring white CHARDONNAY SAUVIGNON and MUSCAT TRAMINER and rich red CABERNET PINOT NOIR and PINOT NOIR MERLOT.